A heat wave in late August and lack of rainfall have worsened the yield outlook for summer crops in large parts of central Europe. In Eastern European regions summer crops suffered little consequence as they had reached maturity earlier, according to JRC's yields forecast Bulletin covering the period from 1st August to mid-September. 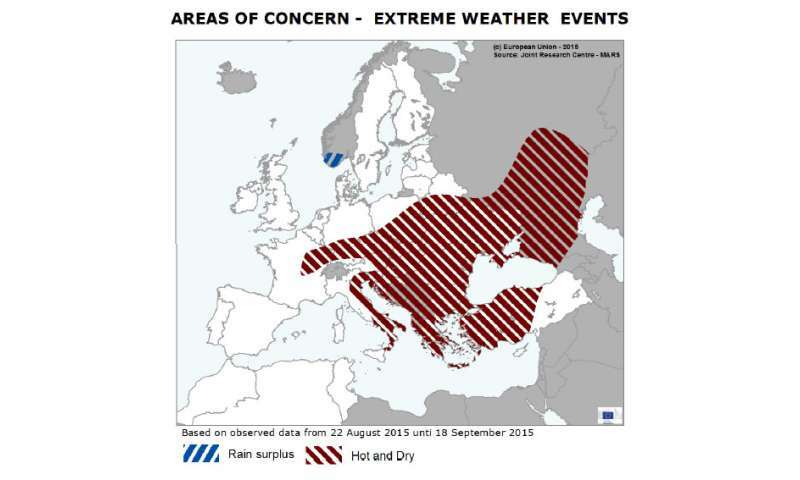 In late August, large areas of central and Eastern Europe experienced a heat wave and little or no significant rainfall. As most summer crops had already reached maturity in Eastern Europe, this latest episode of dry and hot conditions did not have a relevant negative impact, and may even have been beneficial for ripening. In central European regions, however, where summer crops were still in the grain-filling phase, crop conditions remain critical. The growth of non-irrigated crops in these regions was already stunted due to heat waves in July and early August. Southern Poland and southern Germany were particularly affected. All non-irrigated crops in these regions are in poor condition. In France, rainfall in late August led to a significant improvement in the conditions of summer crops in western and southern regions, but conditions remain poor in eastern cropland areas. Yield forecasts for summer crops at the EU-28 level remain low. 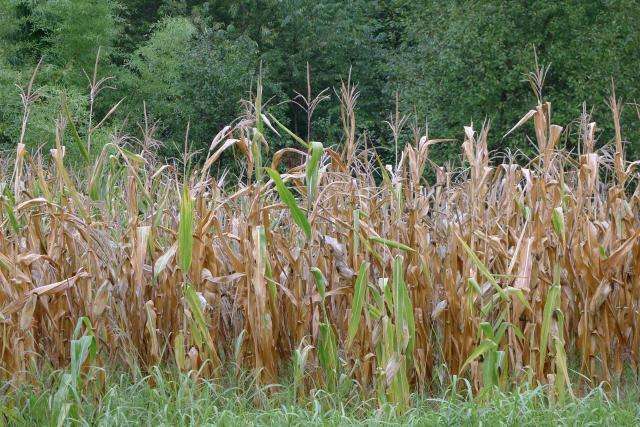 Slight upward revisions compared to last month's forecast are due partly to improved weather conditions in Western Europe, and partly to the expected diversion of the most affected grain maize crops to green maize.